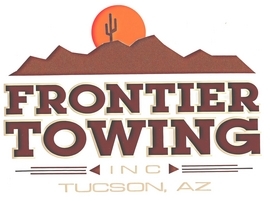 Frontier Towing is a family owed and operated business that has been around since 1969. Our services are available 24 hours a day, 7 days a week (even on Christmas). 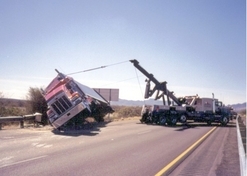 We operate a fleet of over 30 tow trucks, with sizes ranging from light duty, medium duty, and heavy duty. 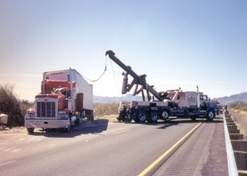 We also offer equipment transport for your backhoe, wheel loader or D9. 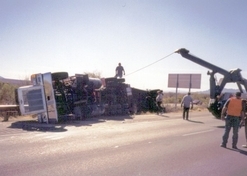 We transport vehicles and equipment, not only in Arizona, but in all over the southwest. 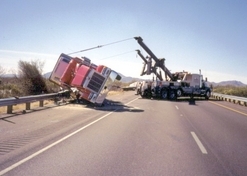 If chiva falls, Mt Lemon control road, Warsaw Canyon or any other 4X4 trail is your passion, our 4X4 recovery service is just the ticket if something should go wrong. 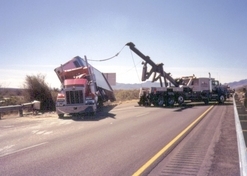 If you need anything towed from a lowered sports car to a monster truck, semi-trucks, dump trucks, motor homes, backhoes, dozers, loaders, excavators, containers and more, just give us a call. We'll be happy to help. Need more proof ? We even moved the Rhinoceroses at Reid Park Zoo!